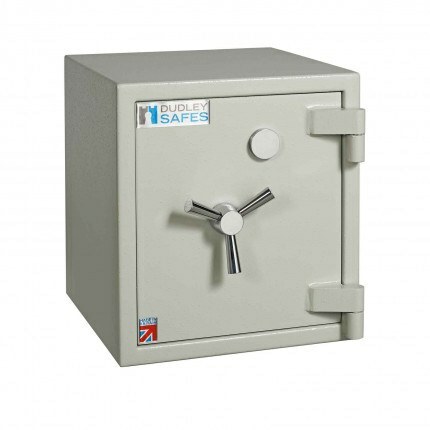 This Key Locking High Security Safe - The Dudley Europa Grade 0 MK3 Size 1 comes fitted with an EN1300 Class A certified Keylock as standard. 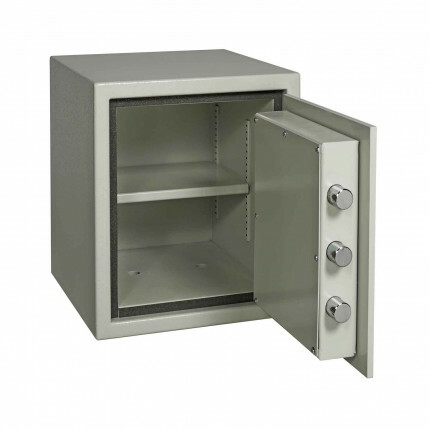 Protect valuables from burglary with the Europa MK3 Size 1 with a certified EN1143-1 Grade 0 Security standard offering Insurance rated coverage of £6,000 in cash or £60,000 in Valuables. Protect documents from fire with the certified 38 minutes protection. 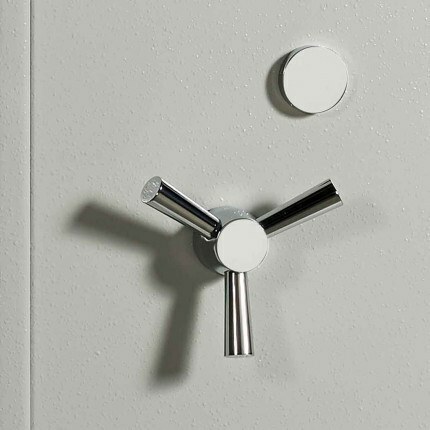 Designed manufactured and certified in the UK offering a 5 year warranty and 1 year for the lock. 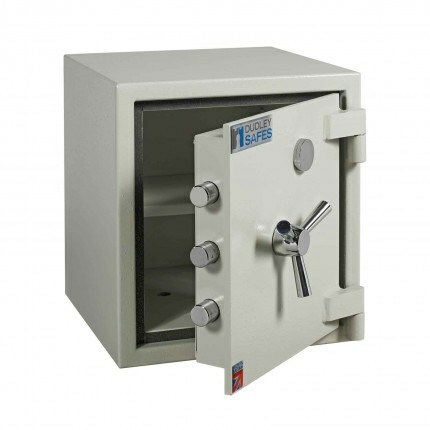 This Dudley Europa Grade 0 MK3 Size 1 has been AIS approved, Police Approved and tested by LPCB to EN1143-1 to give a euro grade 0 certificate standard. 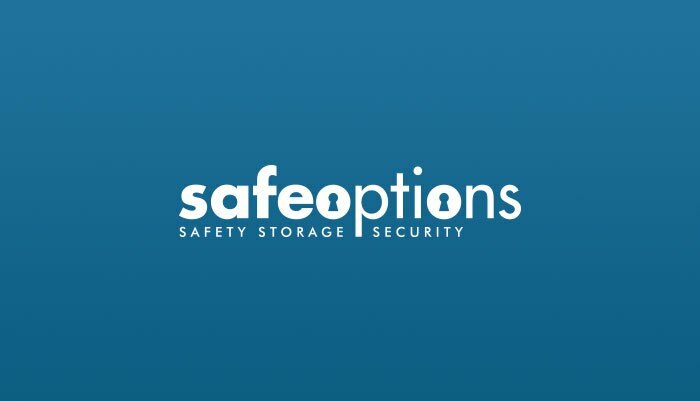 Giving a recommended Insurance rating of £6,000 in Cash or £60,000 in Valuables. The ideal solution for home and business protection against burglary and fire.